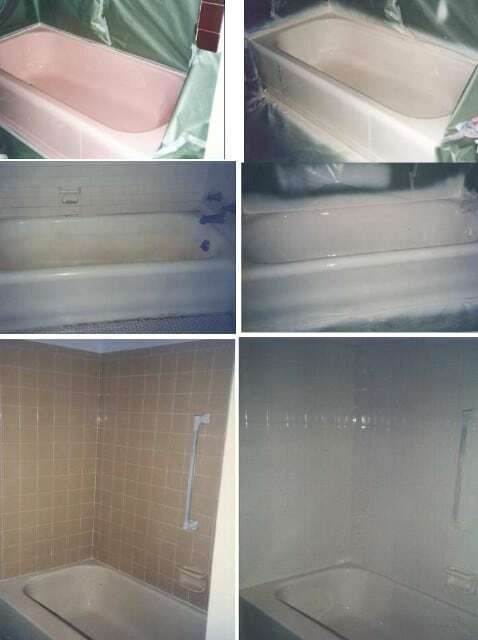 Revitalize your bathroom at a fraction of the cost with bathtub and bathroom tile reglazing services from Glaze-Tec Bathtub Refinishing in Mastic, New York. Our company utilizes a new, advanced chemical refinishing technology that is specifically designed to outperform any competitor’s low-end paints. Competitors often use spray paint, car paint, and epoxy paints for refinishing tubs. However, under the rigors of daily use and exposure to lye and chemical bathroom cleaners, car and epoxy paints tend to dull out rapidly, scratch and chip very easily, fade prematurely, and begin to bubble, crack, and peel off because they are not chemical-resistant finishes. Our technicians only use Porcelain Glaze™, which is a new type of chemical finish, not a paint. It is completely chemical-resistant, abrasion-resistant, and chip- and scratch-resistant. Fully guaranteed against bubbling, cracking, and peeling, this refinishing solution pays for itself. Porcelain Glaze is specially designed by a chemical research lab for the porcelain refinishing industry. Only one company in the U.S. manufactures, trademarks, and distributes it. Our technicians apply a new finish utilizing an advanced turbine technology spray system. While being applied, the Porcelain Glaze is heated by the turbine and sprayed on in layers for a durable near factory-baked finish. Once the new finish is applied, it begins to thermo-set (harden) permanently onto the new surface. 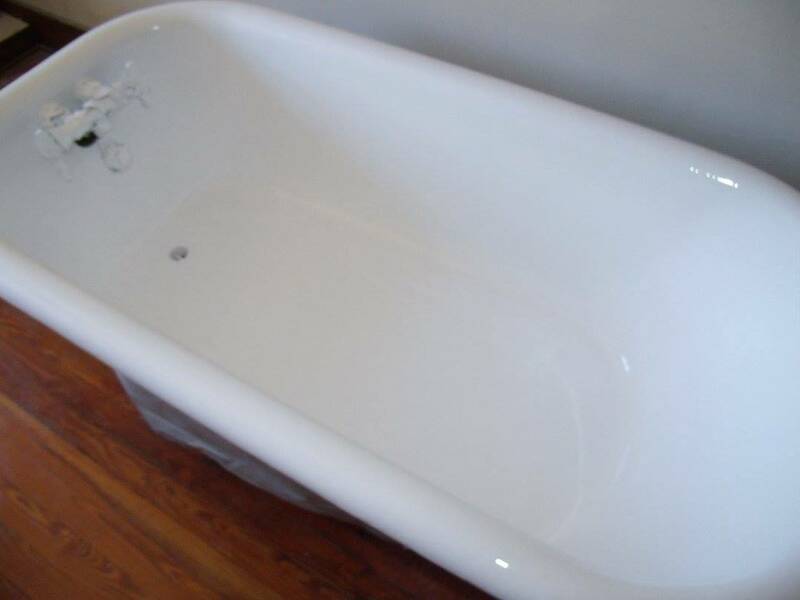 An average bathtub takes approximately two to three hours to refinish. Use can be resumed after only 24 hours. Standard colors include white, bone, or almond, and custom colors are unlimited. We can match any custom color within two to three days after receiving a color swatch from you by mail. Enjoy the confidence and satisfaction of knowing you have selected the best company in the business, with proven experience and the highest quality standards anywhere. 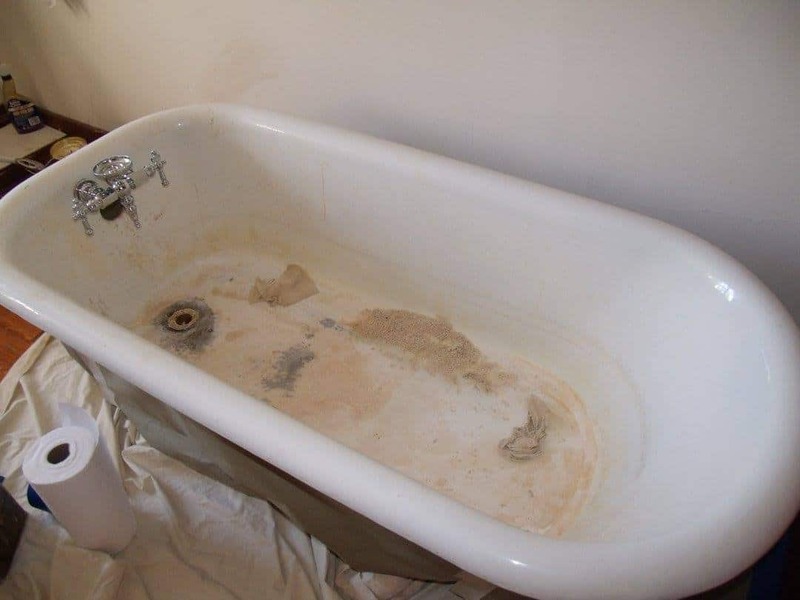 All of our work includes a five-year written guarantee against bubbling, cracking, and peeling. 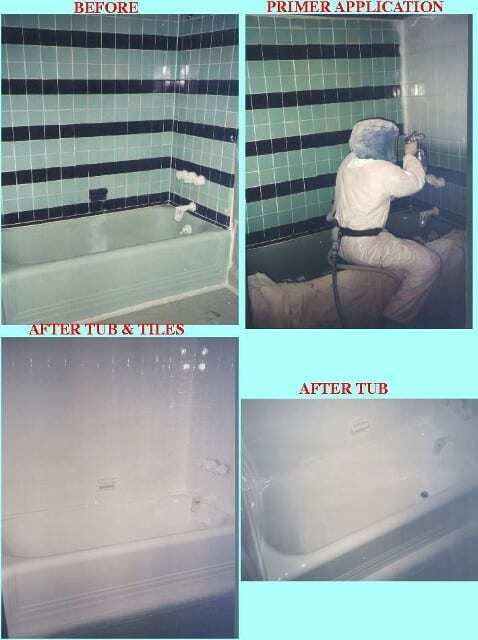 Contact our bathtub refinishing company in Suffolk, New York, to enjoy great attention to detail and quality execution.